When John's parents married in Western Australia in 1947 is unlikely that they knew that they both had ancestors that lived in the small village of Hartpury in England. One was descended from the Braine (Brain) family and the other was descended from the Bucklands. 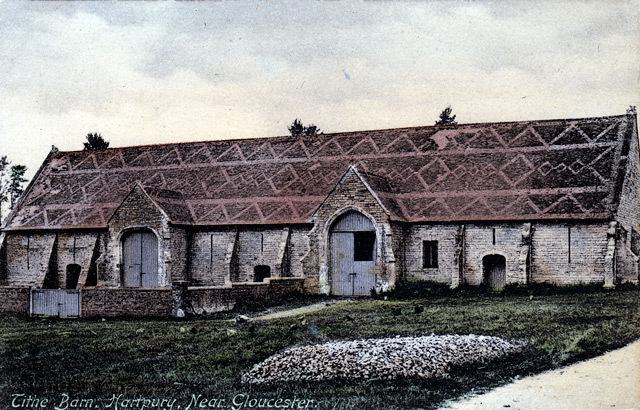 Tithe Barn, Hartpury Near Gloucester. This postcard was probably produced in 1907. Our 2010 photo of this building is on Flickr. The barn is said to have been built in the 15th century and modified several times since. The patterned tile roof probably originates from the mid 1800's when the building was converted to a cow house. Originally tithe barns were built to store ‘tithes’. A tithe was the tenth of a farmer's produce that went to the church. Postcard 123410 published by H.E. Jones, Glos. Unposted. 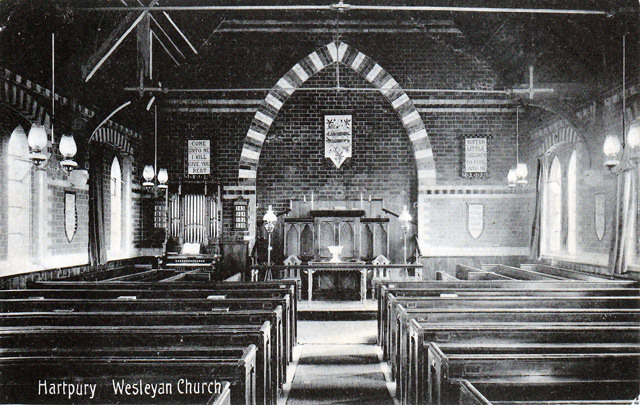 This church is now a Methodist Church. 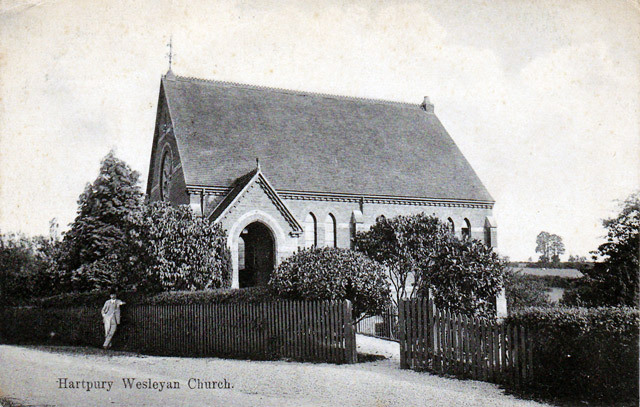 Often referred to as the Methodist Chapel or formerly the Wesleyan Chapel. The foundation stone is dated 1887. The photographer HE Jones was located at 73 Northgate Street in Gloucester. The business known as H.E. Jones & Sons Photographers and Art Dealers is said to have closed about 1970. The postcard was sent by Charlie to his Aunt, Mrs Restall of Upland House, Chalford wishing her "many happy Returns". Charlie may have been Charles W Smith and his Aunt could have been Amelia Frances Restall nee Lean (about 1846 to 1923).